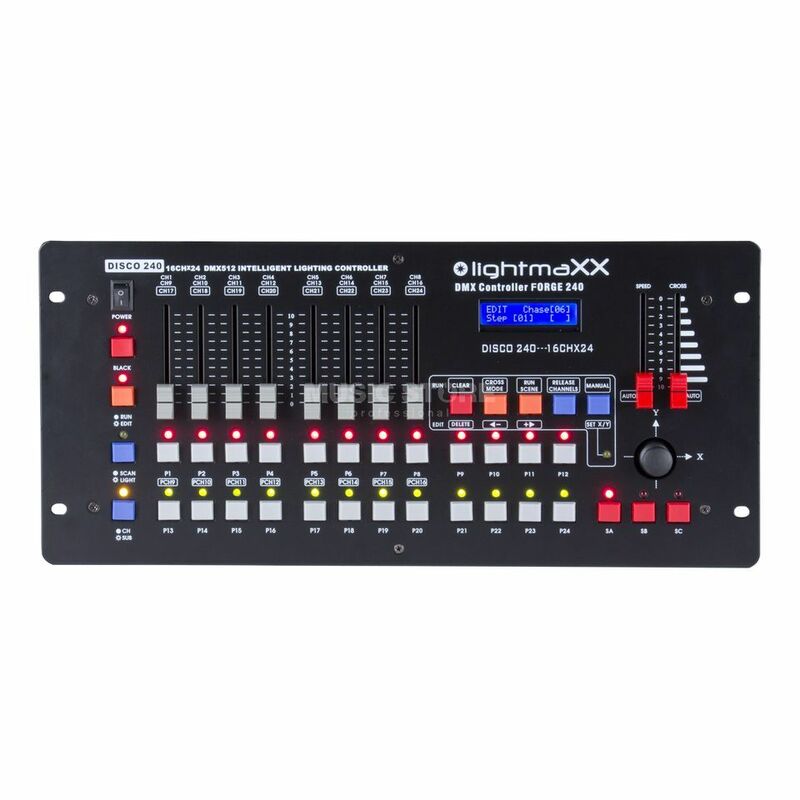 The lightmaXX FORGE 240 is a DMX controller offering up to 192 channels with 240 scenes, 12 chasers and 12 fixtures. The FORGE 240 is controllable via a variety of modes including Sound, Automatic and Manual so you have versatility. Make adjustments and decision on a built-in LCD display. Featuring pan/tilt function wheels for channel assignment, the FORGE 240 offers two 3-pin DMX outputs. A connection cable and manual are both included with this controller.